Kavanaugh penned a dissent in June Medical Services v. Rebekah Gee, outlining that the matter comes down to competing pre-enforcement “predictions” over whether or not the four abortionists in the state can obtain admitting privileges, and therefore, court action is premature. One of the abortionists already has privileges, and while the U.S. district court in Louisiana ruled that it would be unlikely for the other three to find a hospital that will work with them, the Fifth Circuit Court of Appeals contrarily concluded that the abortionists would probably be able to meet the requirement. Therefore, his view of how the matter should be handled rather was: Should abortionists not be able to comply at the end of the 45-day period, at that time, the law would then be deemed to be a “burden” on a woman’s ability to obtain an abortion and the request for an injunction could subsequently return to the district court. “In order to resolve the factual uncertainties presented in the stay application about the three doctors’ ability to obtain admitting privileges, I would deny the stay without prejudice to the plaintiffs’ ability to bring a later as-applied complaint and motion for preliminary injunction at the conclusion of the 45-day regulatory transition period,” Kavanaugh wrote. Justices Stephen Breyer, Sonia Sotomayor, Ruth Bader Ginsburg, Elena Kagan and John Roberts chose to grant the injunction against the law, which is identical to that in the case of Whole Woman’s Health v. Hellerstedt. The court struck down the Texas regulation in 2016 as creating an “undue burden on abortion access.” Roberts had dissented in that case. 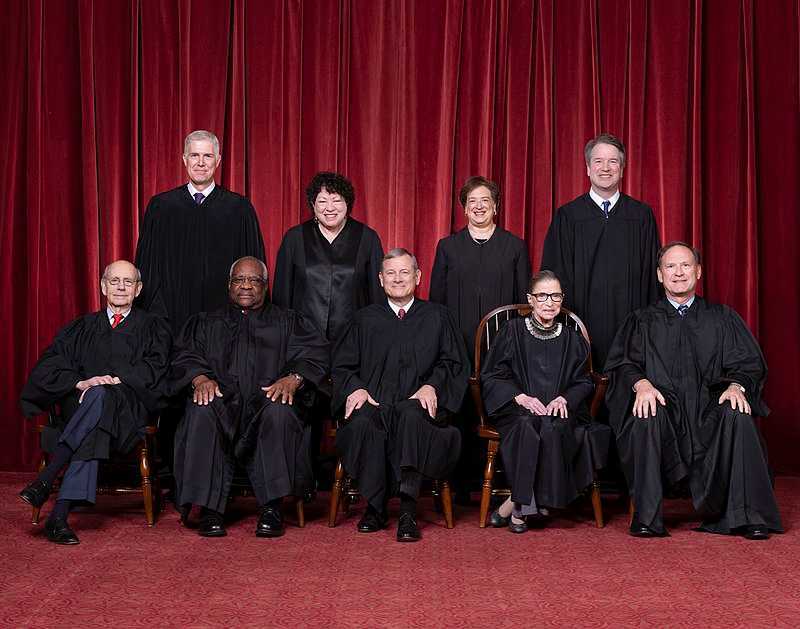 However, as previously reported, Roberts, nominated to the bench by then-President George W. Bush, also joined the liberal justices of the court to uphold Obamacare in 2012, disappointing a number of conservatives who thought he would save the country from the requirements in the Affordable Care Act.